I have a huge variety of African trade beads, premium Czech glass seed beads, and Indonesian tribal seed beads from which to choose. You can select silver/pewter, antique copper, or antique brass for the clasp, accent beads, and charms that finish these bracelets so perfectly. The beads are strung onto waxed Irish linen cord and attached to a multi-strand slider clasp. Optional charms and dangles are also available for your design. Pricing is dependent on the number of strands to your bracelet, and somewhat on the type of beads used in them i.e. Magatama beads are more expensive to use than Indonesian beads. But just to give you a range of pricing, a 4 strand bracelet could be designed for as little as $48 - a 12 strand bracelet could go as high as $139. After the color, metal and size selections are made, I require about 6-8 business days to complete your customized bracelet. I already have an abundance of materials, but if your special request involves ordering something, you should add an additional 5 days to the completion time. 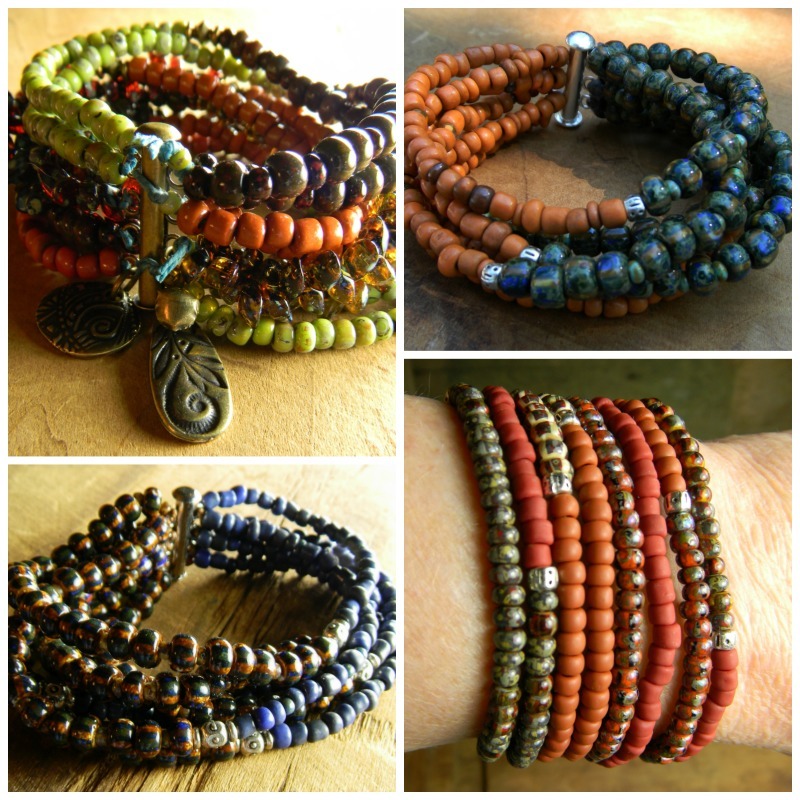 I hope this post has your mind whirling with ideas of bead and color combos that would complement your look!!! I have endless ideas for this concept, so if you would like to collaborate, just send me a message.